3 Small Spring Flowering Trees | Schulhoff Tree & Lawn Care, Inc.
As spring warms the soil and spurs the trees to bloom, homeowners often notice the flowering landscapes and want flowering trees of their own to admire. Here are three modest-sized species of spring-flowering trees that are easy on the eyes, don’t take up a lot of real estate, and grow well in Colorado. Serviceberries (genus Amelanchier) are small trees or large shrubs that are members of the rose family. The serviceberry tree is a great addition to a smaller landscape due to its compact size and four-season interest. Serviceberry varieties grow in varying sizes, depending on the type of tree. Fragrant spring flowers are lacy white and cover the foliage of serviceberries in early spring. The berries of the plant are edible and red-blue in color. Serviceberries may be eaten raw or used in recipes, but you have to harvest them before the birds do. Serviceberry trees also offer brilliant fall foliage. The trees love sun or partial shade and well-drained soil. Most varieties of serviceberries are cold- and drought-tolerant. Crabapple trees (genus Malus) offer gorgeous spring color for Colorado landscapes. Crabapple trees are an appropriate choice for modest yards, since many varieties only reach 25 feet in height. Flowers on crabapples may bloom from early to late spring. The blossoms may be white, pink, rosy red, or deep red in color. The flowers look wonderful from bud to bloom, and some varieties change color as the buds open. Crabapple fruits are small and on the sour side. Crabapples ripen at various stages depending on the variety, and some species remain on plants through winter to offer a food source to wildlife. Most of the above species of crabapple trees offer fall foliage interest. Their leaves turn orange in autumn to add color to the landscape. Crabapples prefer well-drained soil and sunny conditions, and the trees are drought-tolerant once they’re established. Hawthorn trees (genus Crataegus) are hardy trees that are perfect for Front Range yards that get visited (and chewed on) by deer. Many varieties of hawthorn trees have thorns, but there are thornless varieties available. Hawthorn trees are compact like crabapples and serviceberries, so they’re great spring-flowering varieties to plant in a small yard or in a mass planting with other small spring-flowering trees. The trees grow to a maximum height of 20–25 feet. Flowers on hawthorn trees bloom between May and June. The flowers may be white, pink, or crimson. Some varieties have malodorous flowers. Berries on the plants are bright red and range from one-eighth to one-half of an inch in diameter. Berries persist on many varieties into autumn and winter, so the hawthorn berry is attractive to birds and other wildlife. The berry seeds are toxic to humans, so the berries should be cooked and processed by knowledgeable food preparers before being eaten. Some of the thorny varieties of hawthorn trees make great barriers because of the numerous large thorns. If you prune the thorns on branches where you don’t want them, the thorns won’t grow back. Many varieties of hawthorns have lovely glossy green leaves that change to red, purple, yellow, or orange in autumn. Hawthorns are easy to prune and shape. Plant hawthorns in full sun. Unlike many flowering trees, the Hawthorn doesn’t mind clay soil. The trees can manage slightly acidic to slightly alkaline soil without difficulty. 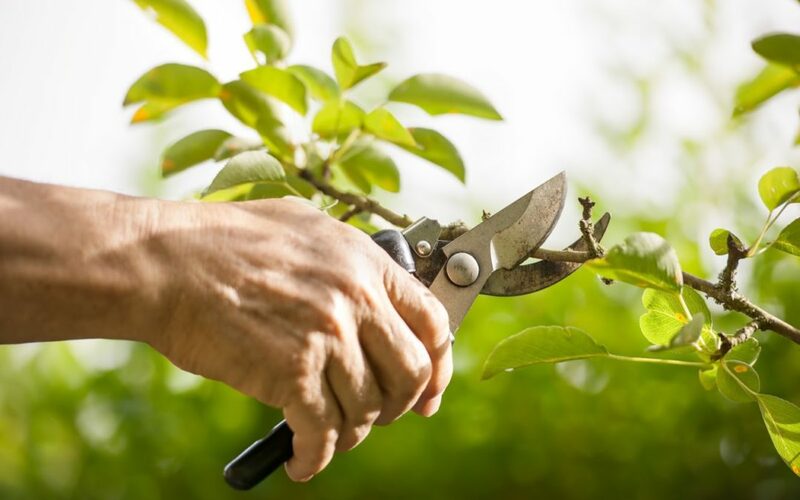 When you need expert advice about which flowering trees to plant in your Golden, Colorado, yard, contact Schulhoff Tree & Lawn Care, Inc., right away. We offer tree and shrub planting services to get your spring-flowering trees off to a great start.